We're continuing our celebration of National Poetry Month with another action-packed poetry activity. Today, we're taking pieces of different poems and collaging them together to create something brand new! Here's what you'll need for today's activity. 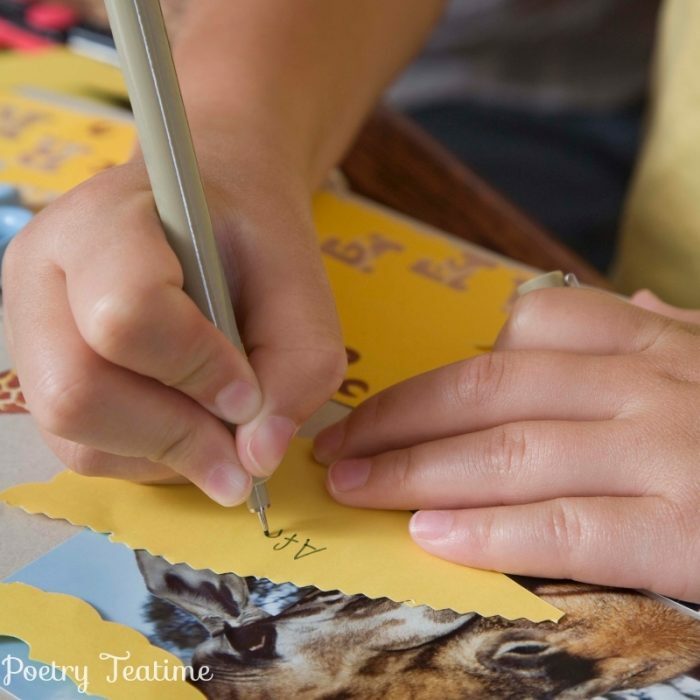 The idea behind today's activity is simple: cut out your favorites lines and phrases from several poems and collage them together either as a new poem or as a work of art. You can add your own words to the mix to finish it off. Why use pieces of poems for this craft? Poems are full of exciting language and lines that are full of all sorts of potential. By combining bits of different poems in new ways, you can discover not only interesting phrases but brand new meaning even in the most familiar lines. The end result is a combination of the wonderful work of poets as well as your own imagination and creativity. What could be better? So go ahead and get crafting! You can catch up on our other April poetry posts and stay tuned for more right here.